Charlaine Harris, author of the Sookie Stackhouse novels and inspiration for HBO's hit series True Blood, invites you to be the Vampire. 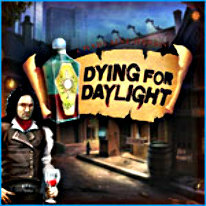 Embark on a darkly humorous journey across New Orleans in an epic hunt to find a legendary sun potion. Join Dahlia as you are led into a dark world of an avant-garde circus troupe where you must track down its scattered vampire members. Interact with eccentric characters that go bump in the night...at least for now. Uncover hidden clues, solve original puzzles, gather ingredients, and stay one step ahead of an ancient and rival sect of vampires determined to procure the sun potion for themselves - at any cost. Explore this original vampire tale where every vampire will have their day.